But only Northern Ireland managed to book a seat in the Euro 2016 final stages as they finished first in their group and Belarus failed to qualify as they finished fourth in their group. Now the teams face against each other in this tie to get back in International form and prepare for the upcoming Euro. 28th May, 2016 at 12:15 (IST). 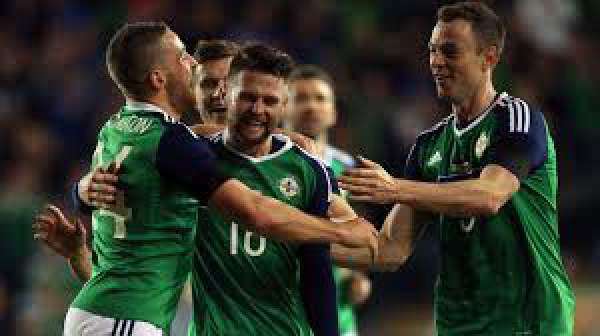 NI played in Group F of the qualifying stages of the Euro 2016 with Romania, Hungary, Finland, Faroe Islands and Greece and finished first in their group with 21 points in the 10 games played, winning six, drawing three and losing just one, finishing one point above Romania. They scored 16 goals and conceded eight in total. They won against Hungary by 1-2 away, against Faroe Islands by 2-0 at home, against Greece by 0-2 away, against Finland by 2-1 at home, against Faroe Islands by 1-3 away, against Greece by 3-1 at home, lost to Romania by 2-0 away and drew against Romania by 0-0 at home, against Hungary by 1-1 at home and against Finland by 1-1 away. They have won two and drew one in their last three International Friendlies, they won against Latvia by 1-0 and against Slovenia by 1-0 at home and drew against Wales by 1-1. They played against Slovenia in their last game and won the game by 1-0 as Conr Washington scored the only goal of the game in the 41st minute. Belarus played in the Group C of the qualifying stages of the Euro 2016 with Spain, Slovakia, Ukraine, Luxembourg and Macedonia and finished fourth with 11 points in the 10 games played from three wins, two draws and five loses, finishing eight points below Ukraine and seven points above Luxembourg, scoring eight goals and conceding 14 in total. They pkayed out goal less draws in their last two International Friendlies against Armenia and Montenegro. Carroll, Cathcart, Mcauley, Evans Smith, Norwood, Mcnair, Ferguson, Davis, Washington, Ward. Gorbunov, Shitov, Palitsevich, Kislyak, Polyakov, Martynovich, Kalachev, Maevski, Krivets, Volodko, Kornilenko.